COV&R never sleeps. As the days grow shorter and colder here, or longer and hotter in the southern hemisphere, members labor on – doing the work that eventually becomes visible in the books series or Contagion, in the Bulletin or on the website. Our labor produces books and articles but also essays and homilies as well. Artistic works are realized and events get planned and executed. This month marks the second anniversary of René’s death, and he was commemorated again this year by a number of panels and discussions at the American Academy of Religion. (Look for a full report in the our next issue in February.) This is one of the major activities of COV&R each year and provides us with a way of interacting with other academic groups and individuals who are not members of COV&R. Bill Johnsen manned the book booth again this year. Bill, of course, keeps busy year round, shepherding manuscripts through the process of becoming a book. He takes care of the authors as well as the readers, responding to any request for those who fail to receive their copies. Curtis Gruenler is working steadily throughout the year also putting together this Bulletin on a quarterly basis. Maura Junius has been a constant source of not only good ideas for how we present things in the Bulletin or on the website, but has been invaluable in implementing them as well. Carly Osborn (aka “no ‘u’ and no ‘e’) continues to drag us into the twenty-first century in terms of our web presence. Dietmar Regensburger continues to update the Mimetic Theory Database that is so valuable to researchers. Matthew Packer is working hard to recruit reviewers for the various books that our readers would be interested in hearing about. If you have any interest in reviewing there is a list of books in need of review on our website. Our new treasurer, Sherwood Belangia, is quietly working away to collate the American and European operations into one unit. It should make taking care of our finances easier. We are continually looking for ways to improve and to get the word out. Martha Reineke did all of us a great service in getting our membership list, dues, renewals etc. under the auspices of Philosophical Documentation Center. We owe her more than we did before and that was already quite a lot. Suzanne Ross has recommended that we look at an event planning group. Such an organization could run our entire annual conference including registration and coordinating housing, but that may not be necessary for us. She recommends that we use this kind of group for such things as recruiting and coordinating exhibitors to participate in our conferences. It could also assist us in recruiting new sponsors, help us keep returning sponsors, as well as coordinating all aspects of their participation. Further, it could identify new prospective attendees for membership. Finally, it could create and manage the meeting website and program booklet for digital media. This would involve arranging to post such material to the COV&R website. I just wanted to share with you some of the work and ideas that are going on right now. I would be remiss if I did not mention that at this very moment Steve McKenna is slaving away to make next year’s Conference “hughley” successful. Congratulations to the Raven Foundation, one of COV&R’s partners, on its tenth anniversary, and thanks to founders Suzanne and Keith Ross for throwing a two-day party to celebrate. It was a showcase of what Raven does so well: applications of mimetic theory to literature and theater, to politics, and to everyday life. The Saturday workshop began with a discussion of Lookingglass Theater’s adaptation of Charles Dickens’s novel Hard Times for These Times by adapter and director Heidi Stillman and Raven board member Andrew McKenna (moderated by Grace Stevens), a discussion that continued after participants had a chance to see the show on Sunday. Both the wonderful adaptation itself and the discussion brought out how Girardian Dickens’s genius and influence are and how relevant they remain. The workshop continued with presentations by Stephen McKenna on political rhetoric and mimetic theory and by Vanessa Avery on scapegoating in the workplace. The proceedings of the workshop are all available on the Raven website. (Also here is a related article by Avery.) Filling it all, plus dinner and brunch in between, was the conviviality that is, to adapt A. A. Milne’s Tigger, what Raven does best. Annual meeting: Stephen McKenna’s presentation at the Raven anniversary was also a preview of some of the topics that will be spotlighted at next summer’s COV&R meeting at Catholic University of America, July 11-14, “Politics, Religion, and Violence ‘after’ Truth.” Members will receive an email announcement when the conference website is available and the link will also be added to the information already available on the annual meeting page of the COV&R website. Publication news: Now that membership services are being handled by the Philosophy Documentation Center, please contact them if you have not received books from the two MSU Press series that are included in COV&R membership, Studies in Violence, Mimesis, & Culture and Breakthroughs in Mimetic Theory. Two books were published earlier in 2017 and sent to members: Violence in the Films of Alfred Hitchcock by David Humbert and Vengeance in Reverse by Mark R. Anspach. A third should be on its way soon if it hasn’t arrived already: Mimetic Theory and World Religions, edited by Wolfgang Palaver and Richard Schenk. And something to look forward to in the new year: Evolution of Desire: A Life of René Girard by Cynthia L. Haven. The Palgrave Handbook of Mimetic Theory and Religion, published in October, marks another stage in the academic arrival of mimetic theory. The extensive list of contributors will be familiar to COV&R members. Indeed, the Handbook gathers, updates, refines, and packages for a new audience work that has been developed at COV&R meetings and presented in its publications, consolidating the work of a generation of scholars and offering it as a foundation to the next. While the Handbook is centered on the discipline of religious studies, there are articles that touch on mimetic theory’s many other fields of application. And yet, even as large as this volume is, there is still room for further handbooks on mimetic theory and literature, mimetic theory and psychology, mimetic theory and economics…. Theology & Peace will hold its annual meeting, “Accepting the Invitation to the Beloved Community,” May 21-24, 2018, in Nashville. Thanks to Petra Steinmair-Pösel for agreeing to help coordinate contributions to the Bulletin from the German-speaking world. Please contact her with announcements, news, and notices of books that we should review. Of course the English-speaking world may continue to contact me and our book review editor Matthew Packer. COV&R’s next annual meeting will be held at the Catholic University of America in Washington, DC, 11-14 July 2018, and organized by Stephen McKenna, who chairs CUA’s Department of Media and Communication Studies. 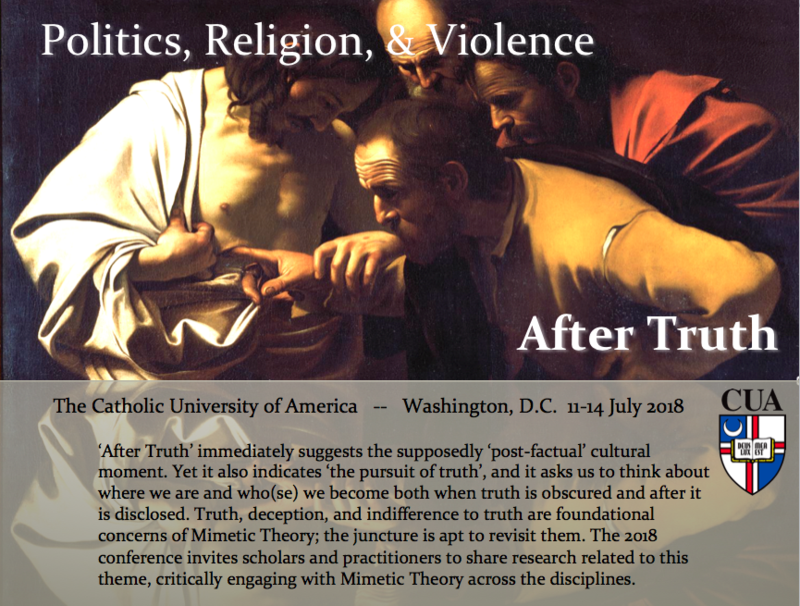 The conference theme, “Politics, Religion & Violence: After Truth” suggests our supposedly “post-factual” cultural moment. Yet it also indicates ‘the pursuit of truth,” and it asks us to think about where we are and who(se) we become both when truth is obscured and after it is disclosed. Truth, deception, and indifference to truth are foundational concerns of mimetic theory, and the moment is apt to revisit them. The 2018 conference invites scholars and practitioners to share research related to this theme, engaging with mimetic theory across the disciplines. How can mimetic theory cast light on the purportedly “post-truth” conditions of contemporary political discourse? How do works of art disclose truth, its counterfeits, and their (mis-)appropriation(s)? How do discourses blind their participants to the truth of mimetic desire and conflict? The call for papers will be announced this fall on the COV&R website. Other program possibilities include a panel on sacred space and the National Shrine of the Immaculate Conception (located at CUA), an excursion to the United States Holocaust Memorial Museum, the soon-to-open Museum of the Bible, and/or sites on the National Mall. Catholic University of America, the national university of the American Roman Catholic bishops, is a large, quiet, urban campus conveniently located on the DC Metrorail with easy transit to off-campus hotels, air and rail hubs, and the wider city. It offers affordable campus lodging ($~60 per night) with good on-campus and local dining options. Its lively Brookland neighborhood (“Little Rome”) features pubs, restaurants, shops, bookstores, and an Arts Walk. One event, “The Hostile Table: Are We Welcome?” took place at The Front Porch, an informal community-cultivating venue located in the parish hall of a local church, and featured James in an interview style discussion on how the open table of the church became exclusionary. James related inclusion and exclusion to the Biblical passage of Peter’s vision of all kinds of animals included in a great net, and his subsequent opening of the baptismal sacrament to the Roman centurion Cornelius and his family. This public-house-church (Pub Church) discussion, a group reflection with roving mike Q&A, was accompanied by food and drink, and punctuated by live music from Austin artist, country singer-songwriter Tracie Lynn. On Monday night James was part of an interactive panel discussion at The University of Texas, “Scapegoating and Racism,” exploring the human urge to resolve conflict in ways that create victims and blame those who are victimized. James presented a short overview of the mimetic theory, introducing it to student attendees and explaining its three main resonances. In the discussion following, James and fellow panel members Angela Valenzuela (University of Texas prof) and Asante Todd (Austin Presbyterian Seminary prof) shared and helped us imagine some practical steps forward. Wednesday afternoon James spoke at a brownbag lunch workshop for counselors, therapists, social workers (and the general public) sponsored by the Austin based Human Empathy Project. The workshop was titled “Working with Christian & LGBTQ+ Affirmation.” A wide-ranging discussion addressed ethical, culturally relevant methods of supporting LGBTQ+ clients experiencing distress in spiritual, religious, and/or Christian family context and identified affirming theological resources for counselors and pastors. contact the book review editor, Matthew Packer. 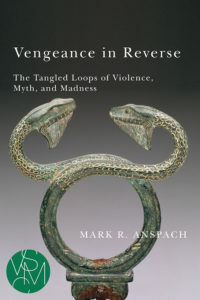 Mark R. Anspach, Vengeance in Reverse: The Tangled Loops of Violence, Myth, and Madness. Studies in Violence, Mimesis, and Culture. Michigan State University Press, 2017. Pages xii + 121. Mark Anspach begins this work by clarifying the way that exchange and reciprocity are related to one another. Exchange involves the exchange of something, while reciprocity may or may not involve an object. “Exchange is one type of reciprocity, violent reciprocity another” (4). This clarifies because it allows us to stop thinking of vengeance as an exchange, be it of blows or of violence and instead to think about different forms of reciprocity, for example, nonviolent reciprocity and violent reciprocity. And this is helpful because it forces us to look more closely at how one moves from one type or form of reciprocity to another. In the opening pages Anspach asks the reader to consider what the opposite of vengeance would be. If vengeance is violent reciprocity, then its opposite would be nonviolent reciprocity. But we can slightly revise our concepts and claim that the problem is reciprocal violence whose opposite would be nonreciprocal violence or sacrifice. So much depends on these kinds of distinctions and clear thinking about them. Anspach knows his ways through the thickets of the human mind and the stratagems of violence. He guides the reader and gives her a chance to think through these problems. The slide into violence is comprehensible. All of us experience how easy it is to break fragile human relationships. Fixing them is harder. We know from experience and we can read in the newspaper how difficult it is to move from hostility to tolerance to community. At times it seems impossible. 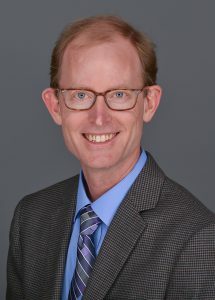 Anspach suggests that the instability between positive and negative reciprocity does, in fact, tend to be one-way: “whereas the failure of a peaceful transaction may trigger a spontaneous shift into vengeance, vengeance will continue spontaneously out of its failure to reverse the past” (17). Anspach is highlighting not just the temporal dimension of violence but also its temporal outlook. Is it looking to the past that it tries to undo and ends up repeating or is it looking to the future, offering a return gift for a gift that has not yet been given? What Anspach does with this is important. It allows him to illuminate something the René Girard did not. Not only does offering up a sacrifice of one’s own clan, to atone for a murder, prevent the other clan from murdering someone whose relatives might then exact their own revenge; it also breaks the cycle of vengeance in another way. The sacrifice substitutes one temporal orientation for another. Not only is the past injury repaid, but also a gift is given looking forward to new nonviolent exchanges. Anspach shows how violence has to be deceived in order for this change from negative to positive reciprocity to be accomplished. If violence is a force that needs to be deceived, it seems to have a will of its own, and that is how humans often experience it. The movement toward hostility moves inevitably to its dénouement and we are helpless bystanders. The community moves toward unanimity with more and more members being swept up into the madness. Anspach takes this line of thought in a surprising direction: Girard’s madness. He quotes two passages in which Girard avers to it. “Maybe I [Girard] am the Madman himself reincarnated” (57). Girard even writes: “I feel as if I were going mad” (68). I find this important not because I think that Girard was crazy but because anyone who works with mimetic theory for any period of time is bound to have these kinds of feelings. “Am I crazy, or is everybody else?” Chapter 5, “Madness in the Making,” helps one to see the intimate relationship between madness and mimetic theory. Anspach quotes Doctor Henri Grivois, a French psychiatrist, who writes that the “isomorphism of the central crisis in nascent psychosis and of the sacrificial crisis of Girardian anthropology cannot be in doubt” (60). Girard shares with the madman the ability to “‘pierce with their gaze’ beyond empirically existing social institutions to the hidden reality of the undifferentiated crowd” (71). For anyone who goes down this rabbit hole, there is the fear of not coming out. The fear is salutary. In his last chapter, which deals with the divided self, Anspach walks the reader through the various loops and labyrinths that the mind can impose on itself. He uses Jean-Paul Sartre as well as Donald Davidson to examine the ways in which people can lie to themselves. He ties this in with Gregory Bateson’s notion of the “double bind.” All of this transforms the Liar’s Paradox into a lived reality in which the person is put “in the position of obeying a command that can be neither obeyed nor disobeyed, owing to its paradoxical form, and that cannot be ignored either, given the vital nature of the relationship between the individual giving the command and the one receiving it” (89). The saving grace in all this is the affirmation that none of this is fated—that individuals, and only individuals, can make a difference because it is the individual who breaks the unanimity. There is throughout the work a quiet call to be the one who goes against the crowd. In this book Anspach makes available in a compact and accessible form his contribution to mimetic theory: the tangled loops of the violent mind have a certain logic that can be understood, gradually untangled, and withstood. Paul Dumouchel, The Ambivalence of Scarcity and Other Essays. Translated (in part) by Mary Baker. Studies in Violence, Mimesis, and Culture. Michigan State University Press, 2014. Pages 383. If you search the internet for “Rene Girard economics,” as I did several years ago while an economics graduate student, you will not find as much as you might hope. But the top result will likely be a 2013 conference session featuring a formidable quartet of Girardian scholars: Mark Anspach, André Orléan, Jean-Pierre Dupuy, and Paul Dumouchel. It was Dumouchel’s comments that I connected with most, putting into words some of my vague intuitions about the economic implications of mimetic desire: dissatisfaction despite world-historic wealth, the flip side of which is a sacrificial neglect of the poor. But in the few minutes allotted, he could only hint at the depth of these ideas. 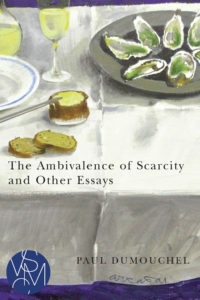 The Ambivalence of Scarcity and Other Essays is a collection of Dumouchel’s writing on economy and violence spanning three decades, most of which are thus published in English for the first time, translated by Mary Baker. The book as a whole provides a coherent framework both unifying and clarifying a range of social laments: “all the lonely people,” the eroding of traditional morals, and the “globalization of indifference,” to name a few. Its novelty and expansive scope make reading it a serious but rewarding endeavor. The title essay, first published in 1979, is the deep well of the book, from which the rest flows. It is a sprawling text that ranges from the economics of primitive societies to criticism of Hume’s writings on justice. It includes a lucid summary of Girard’s core ideas, including those first published just a year earlier in Things Hidden from the Foundation of the World. The most dense section is a painstaking theoretical account of how scarcity has been “instituted” in the wake of Christian Revelation, drawing out parallels to the way sacrifice functions in primitive societies. All this is woven into a narrative whole, culminating with a discussion of Early Modern England that dramatically crystalizes the theoretical insights developed previously. Central to Dumouchel’s thesis is that it is a serious mistake to regard scarcity as a fact of nature, whether as a result of limited resources or human nature. The finiteness of resources is real, of course, but our orientation toward it is socially determined, the outcome of a historical process. Scarcity is never merely a description of the quantity of goods available but rather a judgment that it is not enough, fundamentally a matter of human desire. archaic: the condition of there not being enough to meet the needs of all. That is, for Dumouchel, our relationship to the word “scarcity” is the reverse of our position with respect to the word “scapegoat.” Whereas people in earlier societies really believed in the guilt of the scapegoat, we use the term only ironically, recognizing scapegoats as no more guilty than anyone else. In the case of scarcity, Dumouchel argues, we are the ones stuck on the inside of it, only able to see the truth of the matter from an external perspective with great difficulty, if at all. And it is actually the perspective of primitive societies which facilitates a more accurate understanding of scarcity, by demonstrating that it is not inevitable. Dumouchel leans heavily on Marshall Sahlins’s economic anthropology of hunter-gatherer societies, such as his 1972 essay “The Original Affluent Society.” According to Sahlins, the normative consumption level in such societies is that achievable by the least productive households, as opposed to everyone aspiring to the consumption level of the strongest. Of course, such norms were enforced by violent means. Yet, those who followed the rules and encountered hardship were not left alone to fend for themselves, as they often are in the contemporary U.S.
Dumouchel’s multi-faceted account of the historical process that got us from there to here is difficult to summarize, certainly in a short review, but it is helpful to consider the present day and describe how scarcity-as-mechanism functions now. With traditional prohibitions that curbed mimetic rivalry now largely eroded, virtually everyone is drawn into conflict with some model/opponent. But the absence of traditional solidarity obligations, in particular the duty to retaliate with vigilante violence, now helps obstruct resolution of this widespread conflict by the surrogate victim mechanism. Perhaps someone close to a participant in an especially intense conflict will join in and adopt the insider’s perspective, for whom the opponent is monstrous and solely to blame. But there will also be many external observers of the conflict, for whom its senselessness and mutual hypocrisy are transparent. The exteriority of these others tends to isolate the most intense conflicts rather than spreading them, with the result that antagonists conceal their hostility to avoid embarrassment. Yet the same indifference which thus inoculates against explicit violence also isolates the misfortunate, those in need of help. Avoiding taking sides in a fight and keeping distance from the needy are part of the same package of indifference. The onlookers, after all, are preoccupied with their own rivalries. Society is made up of a multiplicity of doubles, each locked in mutual fascination and indifferent to others. Dumouchel presents this model, the mechanism of scarcity, as the explanation for what Girard describes as our “mysterious immunity” from catastrophic violence despite mimetic escalation going unchecked by traditional prohibitions (Girard, Violence and the Sacred, 33, as cited at 33). It is a disturbingly self-implicatory vision. Here, in my own city, homeless women with children are regularly turned away from our only shelter when it reaches capacity. Am I myself currently preoccupied with a rivalry I am incapable of recognizing—with a coworker, say, or a political figure—which thus diverts my attention from their misery? Dumouchel describes this process, occurring in virtually everyone at once, as the “spontaneous generation of the economic concept of scarcity and its ambivalence…” (46). For economists like myself, Dumouchel offers some specific recommendations in the fourth essay, “Homo mimeticus as an Economic Agent.” Economists may be annoyed by such non-economist tics as using the phrase “economic interest” to refer exclusively to financial interest (131). (He quips elsewhere that “Of course I am not presumptuous enough to believe that I can convince an economist…” (101).) But Dumouchel’s nascent proposal to replace stable preferences with a mimetic “function of dependence” (136) as the basis for modeling human behavior deserves further development. It remains, for now, too nebulous to write down in math, but that is to be expected given its novelty, for even the most innovative “behavioral” economists, those most outspoken in challenging the “rational” model, retain the basic framework of an individual agent pursuing pre-determined ends. An infusion of mimetic theory seems needed to enable economists to grasp the nature of politics and violence, not to mention religion, rather than rendering them unintelligible. The title essay was originally published in a volume entitled, in French, The Hell of Things (in 1979, co-authored with Jean-Pierre Dupuy: L’enfer des choses: René Girard et la logique de l’économie), so do not look for a cheery conclusion. 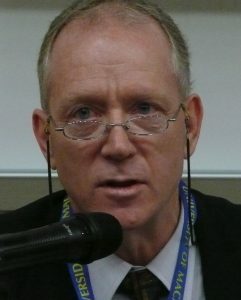 Dumouchel’s synopsis of the historical relationship of Christianity to modern market economies does suggest the possibility of transcending both scarcity and the violent sacred: “Their historical specificity is related to the unique breakdown of the sacrificial system caused by Christian Revelation. It is also linked to rejection of that Revelation. Scarcity is what we live in, which is neither the sacred nor the Kingdom of God.” (106). But he has very little to say about the “Kingdom of God,” insisting on maintaining “a rigorous distinction between what we know and what we can hope” (162). I nonetheless found inspiration precisely in Dumouchel’s rigor, in at least one instance. In “Differences and Paradoxes: Reflections on Love and Violence in Girard’s Work,” he comes close to declaring love—in Girard’s sense—to be impossible, for love “cannot have self-knowledge without destroying itself, without transforming into pride…” (177). It is a strange joy indeed to then find relief in the essay’s concluding words, describing a way out. It is possible to respond to violence with love and yet regard oneself as no different from the other, grounded in a recognition that the present roles could just as easily be reversed. 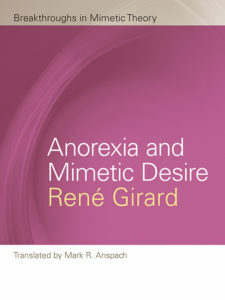 René Girard, Anorexia and Mimetic Desire. Translated by Mark R. Anspach. Breakthroughs in Mimetic Theory. Michigan State University Press, 2013. Pages xxxvi + 75. Naomi is a twenty-year old music student who was not at all concerned about body shape before becoming ill. She studied classical piano under the iron rule of a dedicated teacher from early childhood. In her teens, starting to have creeping doubts about her talent, she catapulted herself into practice precisely to dissolve those suspicions. She failed to gain admission to the music college targeted by mother and teacher but managed to matriculate into an ‘unknown’ college, somewhere, somehow. Even at this place Naomi had the growing sense that classmates had more natural talent than her; she felt inferior. Toward the end of the first semester, she had a bowel infection and could hardly consume food for a week, bowel pain continuing for another two weeks with an overall weight loss of 4kg. Returning to school, friends commented how much 'nicer' she looked. It was, at that moment, Naomi realized, here and now, that she could actually obtain some solid ‘results,’ real results, in real digits. The road to achievement was weight and she could arrive at this immediately and by her own effort. This desirable outcome contrasted with the problems arising in her musical life. However hard she practiced, somebody else would surge ahead. She was always behind. Yet, here was a way out. Naomi continued to stick to small amounts of food and was happy for a while until the weight loss got out of control, after losing 10kg. Naomi is a typical example of the mental condition known as anorexia nervosa. Case 1—a canonical example—was not about fashion magazines and models. Naomi's fundamental and ongoing problem is uncertainty about herself and the sense of helplessness. There is a preoccupation with numbers. The numbers such as 40 (kg), and then 35, suddenly become crucially important as an indicator of self-value. We can say that Naomi shares her friends’ value that being thinner is ‘nice’ but the competition, we must stress here, is not against her classmates (nobody cares how much she weighs) but within herself, within Naomi. The smaller the number, the better but in the genesis of the illness; her interests were not in body weight at all. In this sense, there is rivalry—with numbers. The neuropsychiatrist Jean-Michel Oughourlian, in his introduction to this book, cogently makes this point, noting that in anorexia there is rivalry “with oneself, with one's body, one's needs, in order to achieve self-control” (x). I must point out here that eating disorder patients are not, necessarily, inherently very competitive. As in Naomi’s case, competitiveness is often pushed by people around them. In the search for a sense of self and self-control, competitiveness becomes a convenient tool. Dealing with competitiveness can give them a means of dealing with themselves. This ‘passive’ competitiveness, however, never yields a sense of victory, as I shall mention later. Anorexia and Mimetic Desire was allegedly prompted by Girard’s distant, childhood memory of the initial stage of anorexia nervosa in his young cousin. He provides a sketch of her disobedience to her father. This raises other questions. Was she obsessed with body shape when she started to lose weight? What happened to her? Did she receive treatment? Anorexia predates the “epidemic” of anorexia nervosa. It was described by the English physician William Withey Gull in 1873 and 1888 and the French neuropsychiatrist Ernest Charles Lasègue in the same era. The cases described in these early studies delineated typical anorexic psychology, such as denial of the seriousness of the malnutrition. There is no description of “the desire to be thin” as a motivation for limited food intake. Consider another example. Jun was a fourteen year-old girl in an urban household who stopped eating rice. She consumed only bits of tofu and beans. She did not, in fact, appear to have a sense of hunger and vigorously resisted when forced to eat. The parents panicked and sought the advice of a physician. The place and time of this “non-eating illness,” was Kyoto in the 18th century and described in a medical textbook, published in 1788. Here, again, we find no description of a desire to be thin. Consider Case 3. Catherine was a young woman and a pious Christian. She stopped eating in the process of “pursuing virtue.” She was cautioned repeatedly by her confessor and other religious that to damage the body in this way, and in God’s name, was not at all in accord with God’s purpose. Such drastic behaviour was neither a sign of humility nor holiness and contradicted the Christian life purpose. Still Catherine “could not-would not” eat. She desired death at the age of 33, like Jesus, and thus it came to pass. She died of malnutrition. Why did the individuals cited above lose weight? We do not know the immediate trigger of the initial loss of food intake. Was it depression? Was it stress? It is currently understood that, for a certain proportion of the population, the hunger/satiety center in the brain contains some particular weakness. A healthy person will feel palpable hunger if food intake is limited for a certain period of time. This is precisely the mechanism that equips humankind to survive. On the other hand, for a person with a limited function of the hunger/satiety center, hunger does not increase following reduced food intake. This is the mechanism of anorexia in historical cases. In the 1970s, and the urgent decades that followed, dieting boomed among the general population. This was accompanied by a terminological mantra of “fat” and “saturated fats,” carbohydrates, sugar, and compulsive exercise, as accurately charted by Girard. Thus, the possibility increased that in people who exposed their bodies to reduced amounts of food, an anorexic state would develop. Therefore, in this complicated process, there could indeed arise the mimetic element of trying a particular diet. There is a cause and effect problem here that is not fully grasped by Girard. Unless there is dysfunctional hunger control, dieting itself does not evolve into anorexia. As in Case 1 above, psychologically problematic individuals are drawn to food restriction, and when they become malnourished, the preoccupation with kilograms and kilocalories intensifies. Further, epidemiological studies show that the incidence of anorexia (the occurrence of new cases) increased during the 1970s but since the 1990s has stabilized, i.e., stayed more or less the same. The incidence of bulimia has been higher than anorexia since the 1990s but there are current reports that this may be decreasing. In any case, Girard is mistaken in his general assessment of the epidemiological situation. The incidence of clinical anorexia and bulimia is not constantly on the increase by mimetic escalation. In the era of the dieting boom, fashion models are not necessarily the only conveyer of the body ideal. As Case 1 reveals, kilograms, stones, and pounds are very powerful information tools of the body semiotic. When the body is “reduced” to these digits, it becomes the object of comparison and control. “I weigh 50kg. My friend weighs 49. I have to be under 49 also.” Not all anorexics emulate a person, e.g., a fashion model. Their ideal is not Kate Moss (page 53) but digits. High school girls are well aware that photographs of models on fashion magazines are modified by and on the computer. Is bulimia mimetic? We can say that, in general, unlike anorexia, bulimia is not a visible illness. A bulimic's weight is within the normal range. It is difficult, therefore, for someone “to desire,” “to want” to be like bulimics. There are certainly particular symptoms that may be learned about bulimia by those who inhabit the grey zone of eating disorders. Health education in schools includes a coherent explanation of the nature of eating disorders. However, as school nurses are well aware, pupils in the grey zone absorb and will, in fact, try out various purging methods if they are provided with practical examples in the health class. Bulimia is, as is anorexia, a struggle, a fight within the person, and the struggle is not necessarily about body shape. Erika is a thirty-year old bulimia patient who has had the symptom for over 10 years. The family environment in her childhood was tense. Her sister had a mild developmental disorder. The patient consistently withheld her own opinions and feelings in order to keep the peace, to keep the household calm. During high school she started to experience mood swings and took to the habit of eating large amounts of sweets when she felt the sense of self-disgust. Fearful of becoming fat, she made herself sick and this relieved tension, temporarily. She started to binge in order to purge and to experience the subsequent feeling of relief. Gradually, she could not eliminate bad feelings even after purging and was unable to escape the cycle of feeling bad, binging, purging and feeling low again. Knowing many such cases, I disagree with Girard who says “our modern bulimic is eating for herself, to be sure, but she is vomiting for others, for all these women who are watching each other’s waistlines” (16). 2. Are anorexics winners? Erika the bulimic patient certainly does not want to be fat, but body image is not the only issue. If eating disorders are a mimetic illness, located unmistakably in the domain of body image, are anorexics the winners in the world of the mimetic rivalry? Yes and no. For a minority of anorexic people, we could say that being anorexic does indeed seem to be victory. There is a proliferation of “pro-anorexia” sites on the Internet showing photographs of skinny ribs and the clavicle with its surrounding deep space. Somehow, these “thinspiration” photos rarely show faces. Parts of the skinny body remain anonymous. In this sense, the shape of the clavicle may be an idealized form, but it is difficult at the same time to idealize the person who owns these long bone clavicles; the person does not exist. On the other hand, for many anorexics, being in the state they are in is not what they intended. Patients will often lament (when patients become co-operative enough to disclose what they really think), “somewhere (along the line) I lost control” and “I wanted to be thinner but never this thin!” So, the process of becoming anorexic is like bouldering. Pinned to a steep, overhanging surface, people try to reach for the holds but repeatedly slither down. Patients find themselves helpless, isolated, and solitary. Not many patients see themselves as winners. To conclude, whilst competition is a relevant factor in understanding eating disorders, mimetic rivalry in the domain of body image cannot be said to be the core issue as a motivation of this illness. As I talk to a patient of mine in Tokyo, I flash back to a psychiatric ward in Edinburgh in the late 1980s. Two faces come together. My patient in Edinburgh and my patient in Tokyo look like twin sisters. They converge but they don’t know each other. Nor do they imitate each other. Time, space, a solitary illness. It is I alone who make this connection. They are held in my mind's eye because, with all the myriad individual differences found in anorexia swirling and meshing, locking and unlocking in the process of becoming ill, when one approaches a skeletal state, patients look very similar. The similarity might again point toward a mimetic narrative, that eating disorders are mimetic disorders. This would be a mistaken conclusion in the explication of a complex illness that has been with us, in varied forms, over centuries. Heather Webb, Dante’s Persons: An Ethics of the Transhuman. Oxford: Oxford University Press, 2016. Pages 223. René Girard wrote one short article on Dante, “The Mimetic Desire of Paolo and Francesca,” contrasting Francesca’s frequently romanticized desire with the exposure of its mimetic bankruptcy from the perspective of The Divine Comedy’s main story, the pilgrim-poet’s conversion. (This reading has recently been fleshed out, with fuller reference to scholarship on Dante and his reception, by Girard’s friend and colleague John Freccero in “The Portrait of Francesca: Inferno 5.”) Girard places Dante in a lineage that stretches backwards to Augustine’s Confessions and forward to Cervantes and the great modern novelists. Francesca and Paolo fall for each other while reading the story of Guinevere and Lancelot. Yet this infernal moment of imitative reading alludes to a contrasting one, when Augustine reads, at the climax of his conversion in book 8 of the Confessions, from St. Paul’s letter to the Romans. Indeed, throughout book 8 and elsewhere, Augustine explores positive functions of mimesis, often mediated by reading, for conversion and for the loving communion he calls the city of God. A mimetic reading of Francesca invites consideration of Dante’s analysis of sin farther in the Inferno and, even more, his imagination of the possibilities of positive mimesis in the Purgatorio and Paradiso. In Dante’s Persons, Heather Webb takes up this invitation, exploring the mimetic dynamics throughout The Divine Comedy and discovering in it a vision of human interdividuality in both abasement and fulfillment. Webb does not use the Girardian coinage “interdividuality” and mentions Girard only in one footnote, but this makes her book all the more valuable for readers already familiar with mimetic theory. She has already made more explicit links in two earlier articles: “Deceit, Desire, and Conversion in Girard and Dante,” which takes its cue from the contrast between Francesca and Augustine as readers; and “Dubbiosi Disiri: Mimetic Processes in Dante’s Comedy” (coauthored with Manuele Gragnolati and published in the collection Webb coedited with Pierpaolo Antonello, Mimesis, Desire, and Novel: René Girard and Literary Criticism), which sketches a Girardian approach to the whole poem. An expansion of the latter’s argument is visible as a major thread of Dante’s Persons in recurring, Girardian phrases such as “acquisitive desire.” But by centering her book’s explication of the poem’s imagery and stories on its own conceptual vocabulary, Webb not only honors Dante’s allegorical self-commentary but opens up potential connections between Girardian formulations and other ways of talking about the same human realities. The changing meaning of “person,” Italian persona, over the course of the poem frames Webb’s argument. To those in Inferno, such as Francesca, persona means the physical body they have lost in death. In Purgatorio and especially Paradiso, persona often refers to the persons of the Trinity, individuated only by their modes of relationship. Between these two uses of the term, common in his time, Dante builds a story in which the meaning of the word, in reference to humans, grows as the souls in Purgatory gain capacities of relationship, capacities fulfilled in their “transhuman” (a Dantean coinage) participation in the life of the Trinity in Paradise. The souls in the Inferno use persona in a way that shows the individualistic error that is part of their condition and how they reached it, and which is likely shared by readers, who can then see it (like so many things about the Inferno) only from the perspective of later cantos. The middle three chapters of the book focus on how, in Purgatorio’s “laboratory of relationality” (24), souls enter into personhood through communion in gesture, recognition of suffering others, and cultivating “ardent attention.” In her discussion of how Dante depicts gesture as “opening dialogic relations between characters” (31), Webb draws on cognitive science and especially the work of Vittorio Gallese, one of the discoverers of mirror neurons, in order to think about both the reality of turning toward the other represented in the text and how readers participate in it. Her final example, a gesture of supplication and worship that mimetically unites a group of late-repentant rulers, implies a contrast to unanimity through scapegoating. These insights into what I would call positive mimesis are all the richer for how Webb lets the text lead the theory. In following the significance of recognition, another concept taken from the poem’s own language, Webb uses a late work by Paul Ricoeur, The Course of Recognition, to help articulate the rethinking of virtue ethics that emerges from Dante’s mimetic understanding of sin and recovery. Similarly, the book’s final chapter, on the imagery of faces in Paradiso, turns to Emmanuel Levinas for expressions of awakening to a radical alterity. Webb’s study suggests how the passage from Purgatorio to Paradiso might advance the dialogues between mimetic theory and each of these thinkers. Mimetic themes are most pronounced in the penultimate chapter, “Ardent Attention.” Ardore in the Commedia can be acquisitive desire or love of God, but Webb finds at key points a sense of “attention that creates an intensity of space within the individual for the beloved who illuminates new understanding, an intensity fed by desire that is fulfilled even as it endures” (129). Or, to put it the other way around, desire can grow even as it is satisfied because, instead of acquisitive desire leading to rivalry and frustration, desire for the presence of the beloved merges with desire for understanding that the beloved models and mediates. Webb finds this conversion of desire beautifully conveyed in the moment when Dante the pilgrim first beholds Beatrice in the earthly paradise. Turning for comfort to Virgil, his guide up to that point, he quotes Dido from the Aeneid when she finds herself falling, tragically, for Aeneas: “I recognize the signs of the ancient flame.” But Dante is being summoned to repentance and transformation, not obsession, and the model for this sort of ardor comes from the disciples who meet the resurrected Christ on the road to Emmaus, without recognizing him, and later recall how their hearts burned within them as he talked with them and opened the Scriptures. The divine Word mediated to Dante by Beatrice—and to us by Dante the poet—reverses the error exemplified by Francesca of, as Girard puts it, letting a human word replace the divine Word. In Paradiso, ardent attention becomes “joint attention” (another concept from cognitive theory) by which beloved and beholder become co-beholders enjoying a mutual presence that fulfills personhood—a contemplative, ecstatic interdividuality. Webb counters the usual view that the pilgrim must shift his attention from Beatrice to God. Dante attends to God in and through Beatrice and all the others he meets in Paradise as he becomes fully open to their presence. Transhumanization involves losing “the borders and boundaries that we are accustomed to understanding as identity” (180). As Girard said of all great literature, The Divine Comedy exceeds any theory about it. 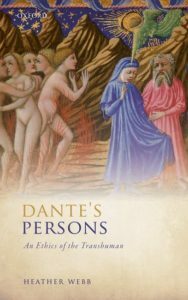 Dante’s Persons approaches the poem in that spirit, showing yet another side of its inexhaustible riches through insightful readings of many more passages than this review has touched on, and along the way pressing further than any account I know of into its enduring value for those interested in mimetic theory. If you have a news item or would like to write a report on an event, please contact the editor.